This is the second post in our PC for Premiere Pro series. When we planned this blog series, we originally wanted to publish the benefits of switching to PC before this post on our computer partner. 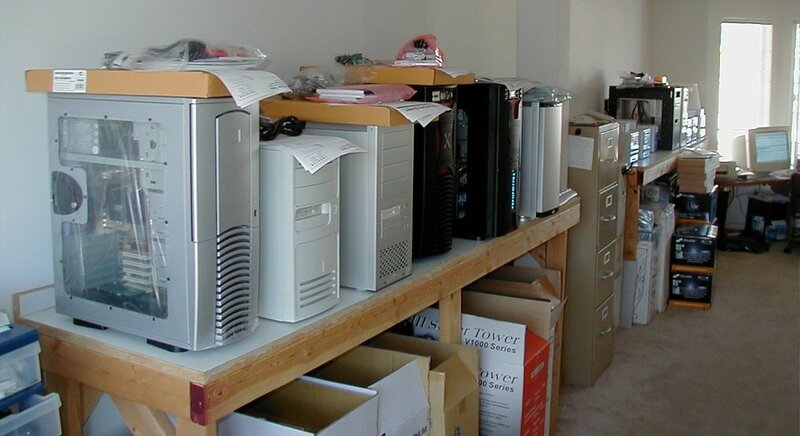 However, we quickly learned that, when switching to PC, the relationship with the computer builder is vitally important at the beginning of the process. So much so, we rearranged the order of this series. Puget Systems is our favorite computer builder for many, many reasons. We’re excited to share the Puget Systems story of how their grassroot beginnings led them to becoming America’s #1 computer builder. Puget Systems is uniquely focused on building computer systems for content creators, Premiere Pro users included. (We LOVE that, of course!) In this post, you’ll hear directly from Jon Bach, president and founder of Puget Systems, and his brother Matt Bach, Senior Puget Labs Technician, and how they’ve built a tech company based on quality and transparency in a market that oversaturated with hype. Yes, this is a sponsored post, but the truth is we sought out Puget Systems exclusively for this series; we would not have partnered with any other computer builder. While this post is focused on Puget Systems, don’t worry! — we’ll sprinkle in some Premiere Pro along the way! So, if you’re a Premiere Pro user interested in switching to PC and you’re looking for expert guidance and vetted hardware solutions, we promise you’ll find what you’re looking for in Puget Systems. Pretend PCs are cars. A manufacturer makes the car, a dealer sells the car, and a mechanic fixes the car. In most cases, unfortunately, you’re just a number throughout the buying and owning process. Even worse, car salesmen and mechanics are notoriously known for pushing expensive options on their customers. Imagine how refreshingly simple it would be if there was one point of contact for all three stages: a manufacturer that assembles your car, a dealer that understands your needs, and a mechanic that has your back. That’s Puget Systems for PCs! They build a custom PC, tailored to your specific needs, they test it, and they can fix it because they understand it better than anyone. We’re completely sold on Puget Systems. But you shouldn’t be just yet, because we’re just getting started. Let’s take a look at the origins of Puget Systems and how the values on which they founded their company translate to who they are today. The novelty of Puget Systems traces all the way back to its humble beginnings. 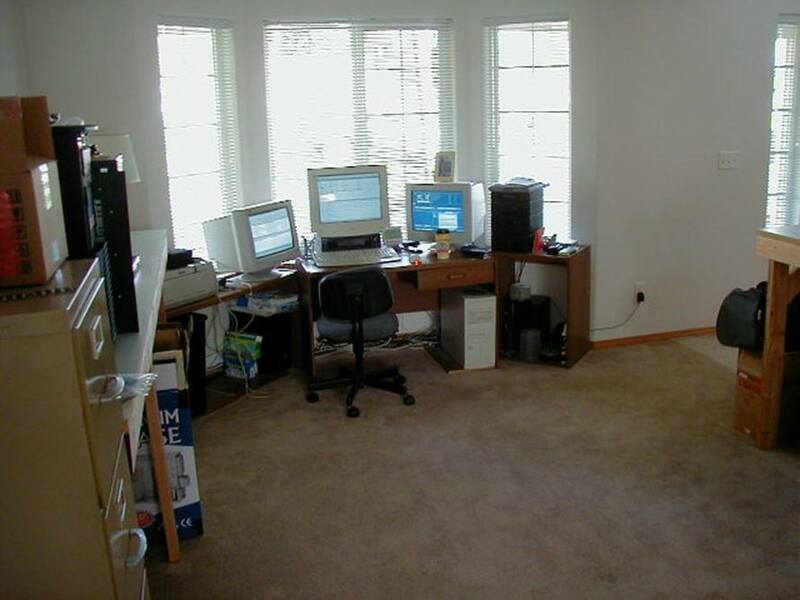 Jon Bach began the company in his parents’ home, building computers in their kitchen. JON: I started Puget Systems almost 19 years ago. We built tech enthusiast boxes. We were doing liquid cooling, gaming boxes — any sort of custom computer you wanted. Jon’s younger brother, Matt Bach, eventually got involved with the business. He recalls what the early days of Puget Systems were like. MATT: We ordered parts on Monday, we built the computers on Wednesday, we shipped them out on Friday. That was our weekly schedule. Once those Wednesday build days turned into working until 4:00am every week, that's when we started to expand and brought in more people. 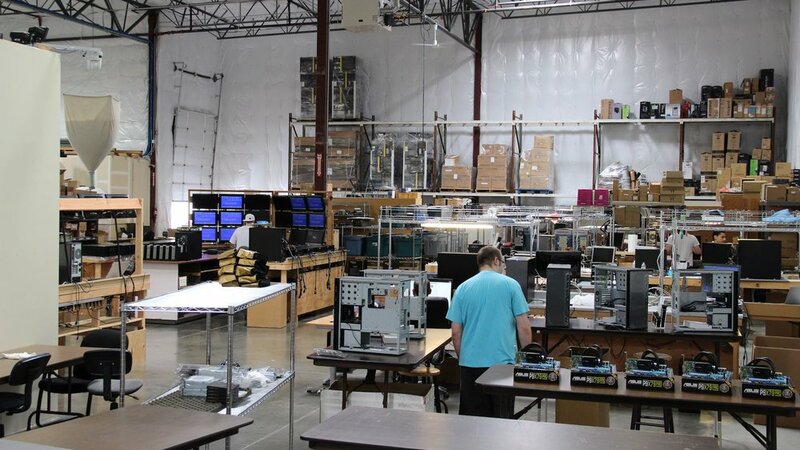 As Puget Systems continued to grow, the company became more specialized and they started focusing on workstations. JON: We found that workstations were more satisfying. And so it was about eight years ago that we started to pivot. We dropped liquid cooling, we dropped laptops. The thing that makes us most excited is seeing our workstations being used for creation. That's what gets us most excited. And that's why we've honed in on workstations as the segment that we target the most. MATT: We'll still build a gaming computer for someone, but we'd rather focus on workstations — people getting professional stuff done. Because that's really where we see the market really going in the future. It’s hard to ignore the fact that Puget Systems’ origins are similar to another computer company (which shall not be named) that has become infamous for ignoring their professional workstations in favor of consumer products. (Coincidentally, they did the same thing with their editing software. But, again, we’re not going to name names.) On the other hand, Puget Systems has remained fixed on their original mission. JON: Our core mission has always been: bring to the industry what's missing. We feel what’s missing most right now is that connection point between hardware and people's workflows, the work people actually have to get done. We have taken on the mission of becoming experts in both sides of that coin. The ultimate goal is helping people get work done. Puget Systems now resides in a custom-designed, 14,000 sq. ft. building outside Seattle. Even though it’s been nearly 20 years, looking back, Jon sees little has changed in terms of mission. And that’s what he attributes Puget System’s success to. JON: We've grown to 30-some employees and it's been great to surround myself with a team of people who are all passionate about our mission, just like I was way back in the very beginning. Ok, so Puget Systems has an inspirational backstory, but how do they compete as a computer builder? As a potential customer, you want to know: how does Puget Systems stack up against companies like Dell and HP? What benefits does a smaller computer builder have over a large corporation? And finally, why would you want to get involved with a custom computer builder in Seattle, when you can easily go to your local Best Buy and pick one up off the shelf? MATT: Dell, HP, those guys, they're super successful businesses. But they're huge. They're not trying to sell specialized machines. They're selling generic, off the shelf stuff. I think they're still trying to push Dual Xeon for Premiere Pro. And that's a bad choice. MATT: We're specializing in post-production. That's what we want to do. We don't really want to sell general computing stuff. We don't want to sell gaming computers. We want to sell very specifically for Premiere Pro and After Effects and Photoshop. Another issue with large computer builders is their relationships with the manufacturers. It complicates things when it comes to selling customers the best (read: most expensive) solution versus the best-fitting solution. MATT: Our end goal is to get our customers in the hardware that is exactly right for them. A lot of computer companies — Intel, AMD, Nvidia, whoever — want to sell these workstation class parts. And those parts are a lot more expensive. Whereas, we often take a step back and say, "You don't really need that. You can do it if you want, but do you really need a $5,000 video card when this $500 video card is faster?" We all love to see the underdog win. When they do, it’s typically because their able to learn and adapt faster. Puget Systems is the perfect example of a small, agile computer company. MATT: Another advantage we have as a small company, is we can shift and move quickly. We're constantly re-evaluating and seeing where things are moving. And we're going to continue to do that. JON: That's how we defend our company from competition. There’s no such thing as a one-size-fits-all approach to computers. So, as long as we’re willing to have those relationships and those conversations with our customers, then we have a competitive advantage against HP and Dell. Because, at their scale, they can't do that. We do things that don't scale and we are proud of that. When it comes to sales and marketing, there’s no comparison; Puget Systems does it way better than the big computer companies. Puget Systems is actually helping people with the content they put out. MATT: We love providing help. So often, people use our articles to settle arguments on the internet. When we look through where people are coming from, it's often Reddit or the Adobe forums. Usually it’s a thread with two people bickering back and forth. Tthen someone links to one of our articles and then it's just dead silent. There's no comments after that. That tells us we did a good job. Puget Systems is a shining beacon of transparency and a role model for all companies, not just computer builders. JON: Anyone can come to our website, look at what we build, and then go buy their own components and build it themselves. By making as much as we can public, we're demonstrating to people that we're the real deal. So many companies are all talk; we like to pull back the curtain as far as we can to show that what you see is what you get. There's no secret sauce to us. It's just hard work and passion. In other words, Puget System’s “secret sauce” is there is no secret sauce. MATT: Our site is actually focused on the software first. You can still go on our site and find our systems, but no one remembers our model names. We have Genesis and Serenity and Spirit. But those don't mean anything to you. So, we put the software first. For example, if you're on our site looking at Premiere Pro, we won't show Dual Xeon on there. We only show a couple of CPU options, because those are the ones that will actually be faster. For Puget Systems, it’s more than just hardware. It’s even more than software. It’s really about the work people are doing with the software. JON: What makes Puget Systems special is the fact that we understand you, we understand your work. 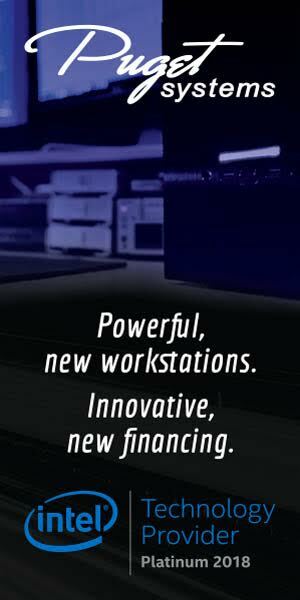 We can get you into the right workstation for you. If you’re in Premiere Pro and you run into a problem, we understand the intricacies of video editing and can help you. 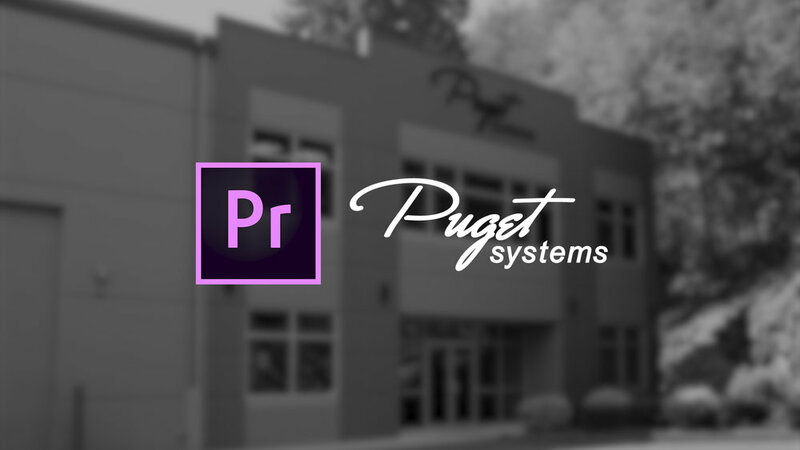 Premiere Pro users can have confidence in the hardware solutions recommended by Puget Systems because the entire company is familiar with the software. JON: We feel like we have to understand the software end just as much as we understand the hardware so that we can help people get their work done. It's pretty common for a computer builder to have all its staff understand hardware, but we provide that same level of training on the software side, as well. There is a basic level of training that everybody has to pass for every software package that we support. 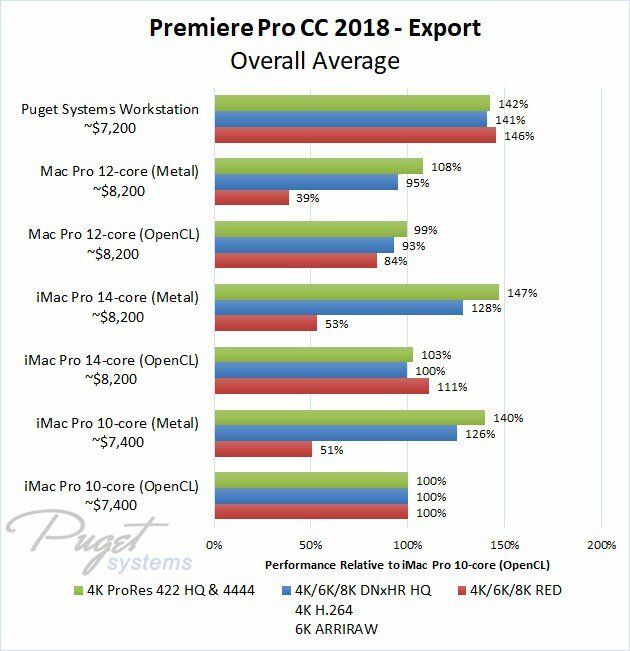 As a Premiere Pro user who recently upgraded to PC, we felt assured by Puget Systems expertise in providing the best hardware to support editing in Premiere Pro. As a matter of fact, Puget Systems has their own internal testing lab specifically for this purpose. Like Jon said earlier, Puget Systems likes to pull back the curtain on what they do. That includes Puget Labs, their internal testing team. Testing and benchmarking is standard for computer manufacturers and builders. So we asked Matt what makes Puget Labs different. MATT: We do performance testing in real applications with real hardware in real-world situations. 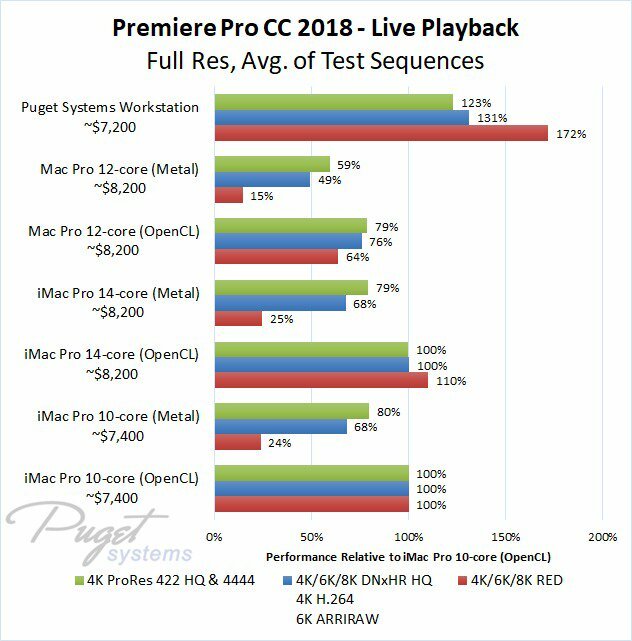 So, instead of just running some gaming benchmarks or generic benchmarking utilities that most hardware review sites do, we actually run tests in Premiere Pro or After Effects with things that people are actually doing in those applications. 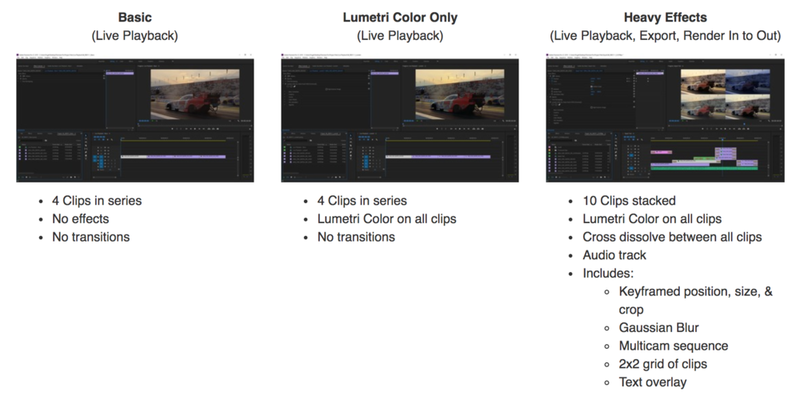 For example, in Premiere Pro, we might test clips with Lumetri Color. We'll also run tests in Premiere Pro with effects and transitions. We try to keep our tests as realistic as we possibly can. The two things we primarily test is live playback, such as in the program monitor, and then exporting. Compare Puget Labs to what other computer builders and review sites are testing. MATT: They are almost all focused on gaming. Some of them are starting to add a little bit more. I think some might have a Premiere Pro test or a Photoshop test, but it's basically a transcode test, like H.264 to H.264. That's it. Whereas, in our testing, we're actually applying effects. We're testing live playback, how many dropped frames, and all that kind of stuff. Puget Labs relies on a significant amount of automation to maximize the efficiency of their testing. The automation process itself is something Puget Labs designed and developed specifically for testing in Premiere Pro and other Creative Cloud applications. This customized automation saves time, which allows Matt and his team to test more things like hardware and codecs. MATT: One round of automated testing is about 8 hours. If I was to do it manually, it'd probably be more like 10 hours. So I can save time by creating all this automation. The way we do our testing is we'll have a Premiere Pro project that has effects already applied to clips in the Timeline. The automation opens Premiere Pro and hits play. It looks at how many frames were dropped. It logs that. Then closes Premiere entirely. Then it opens Premiere. Loads the next project. Does it again. Does it again. Does it again. The results produced in Puget Labs don’t stay there. That knowledge is disseminated online in Puget Systems various publications. It also gets shared internally throughout the company so that everyone, from sales to support, can better understand customer needs. MATT: We make sure that everyone else in the company learns as well, at least the important bits of what we learn. The Lab will do training sessions for our support and sales teams. They need to be able to talk your language. Like most purchases these days, shopping usually starts online. The Puget Systems website is intuitive to navigate, especially if you’re a video editor looking for a Premiere Pro workstation. But you have to realize, the Puget Systems website can’t make recommendations specific to your editing workflow. If you want to get the most out of what Puget Systems has to offer, Matt recommends getting on the phone with them. MATT: We definitely try to get people on the phone as much as we can. Obviously, we'll correspond to email or whatever. But, it's more helpful to get someone on the phone and just talk to them for a little bit. It's so much more efficient to figure out what the right thing is for them. We're never going to push anyone into anything like that. For a company like us, happy customers, who are very satisfied and come back later, are always way better than making a couple hundred extra bucks and then an unhappy customer who we never see again. Every Puget Systems customer has an online account where they can login and view their transactions and support tickets. When you purchase a computer from Puget Systems, the entire building process can be monitored in your account, including testing and benchmark scores. 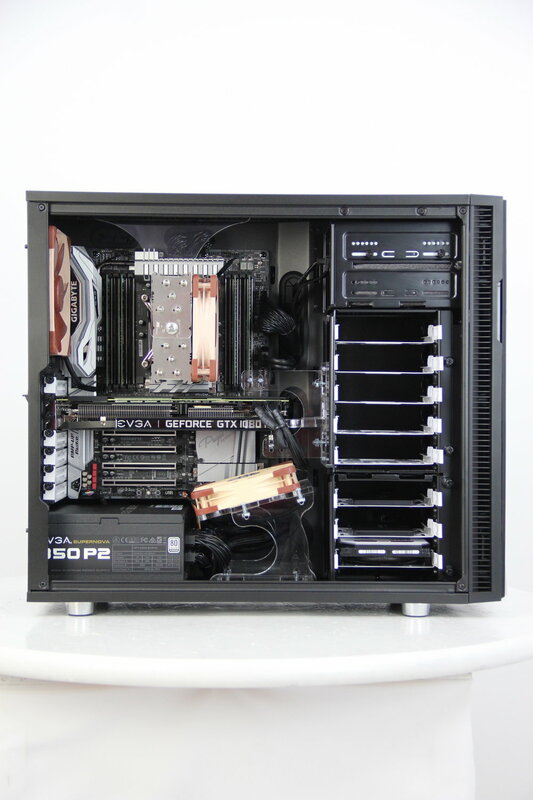 Puget Systems even posts pictures of your system! MATT: That's actually your system, and that's what we do for every single customer. Some of that is actually for our support team because every computer is different. 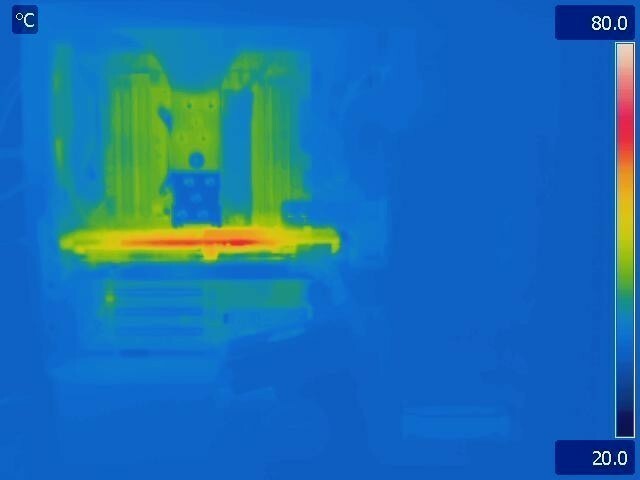 By having pictures of every computer, we can actually see where every part is. So, if you ever have a support issue, by having those pictures we can help guide you on those things, or even draw little arrows and send them over. Your relationship with Puget Systems doesn’t end when your computer lands on your doorstep. In fact, it’s just the beginning of their long-term commitment to you. Puget Systems is very proactive about making sure you have the best computer buying experience. Their support blows Apple Care out of the water. And you don’t have to pay extra for it. MATT: If you ever have an issue, call us up immediately and we'll take care of you. The exact same attention to detail and valuing of your time that we do during the consulting process extends directly through to support. Puget Systems understands their work doesn’t stop when the order is fulfilled because your work doesn’t stop there. Puget Systems technical support philosophy is a continuation of their mission to help customers get their work done. MATT: On the support side, we're very much committed to getting your problem fixed as soon as possible because you've got work to do. We don't wanna waste time with, "Have you turned it off and back on again?" We try to get down to the issue, "Okay. What's the problem you're having? What are some troubleshooting steps we can do, that you can do in the field?" If we have to, we can get your system back to us, get it fixed as fast as we can, and then get it back to you so you can keep working. What’s your impression of Puget Systems? Have you stumbled across any of their articles in a forum or comment discussion before? 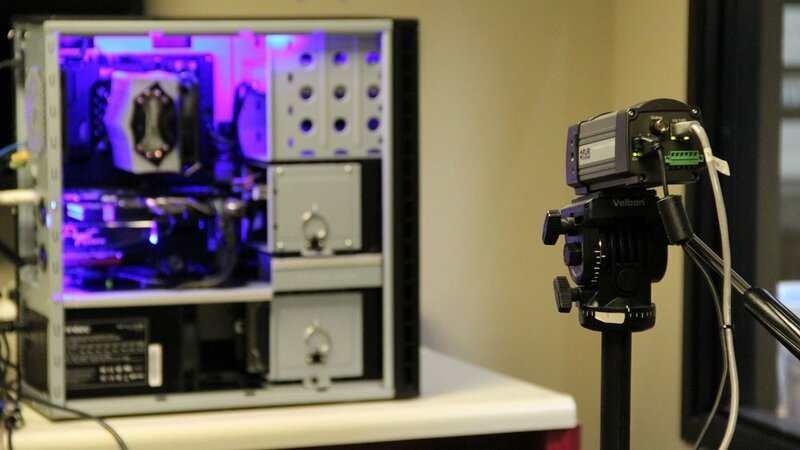 Would you consider Puget Systems to build your first or next PC? We hope so! Drop us a line in the comments below.